We’ve all heard that saying, right? A quick glance at the iTunes Store or Android’s Play Store (not to mention Windows’ own Store) is testament to the sheer abundance of applications available at the touch of a button. App development has gone nuts! But where does one even start to begin with such choice? Sadly, there isn’t an app to tell you which apps you should be using but that’s a business idea for another time. There is, however, this handy list of some of the best apps, which we use ourselves here at MO Agency, for you and your colleagues to use to increase overall productivity... how fortunate. The Cream of the crop, undoubtedly, has to be Slack (https://slack.com/). Slack has revolutionised the way that people communicate, inside of offices, the world over. Whether you’re a small design house or a Fortune 500 company, Slack can and should be your communication weapon of choice. With a plethora of plug-ins to enhance its’ functionality, there is very little that Slack won’t be able to solve. Apart from being an Instant Messaging platform, Slack also supports file sharing (integrated with a range of other platforms like Drive and Dropbox). “Channels” are easy to setup and can be tailored for specific uses, they can be open for everybody or private for discussions around sensitive material. Slack really is the go to pick of any Productivity app list. Coming in at a close second is Evernote (https://evernote.com/). Like Slack, Evernote is available across all OS platforms and features a real-time sync across all your devices. Some people use OneNote, while others use Google Keep but the real champ on the block is Evernote. Evernote is, essentially, a note-taking service. It allows a user to create, edit and upload notes. Additionally, pictures, videos and audio can be uploaded or added to existing notes. The reason it features on this list is because of its practicality. It doesn’t necessarily try be more than what it is while being great at what its core functionality is meant to achieve. That it can store images and audio or be shared with other parties for collaboration are all secondary features – very cool, but still secondary – which add to the user experience. Dropbox (https://www.dropbox.com/) rounds out the podium finishers by being one of the handiest apps available. It’s a cloud storage solution for you and your company and it’s actually one of the most popular storage solutions out there (Google Drive may be the true champion here with Dropbox finishing in second place above OneDrive and iCloud). Dropbox is a cross-platform solution (including a browser version) and, as such, it updates in real-time which is perfect for collaboration! Their mobile app interface, across all platforms, is incredibly intuitive and quite aesthetically pleasing from a UX perspective. It’s the perfect tool for creating offsite backups of your information and the paid-for business version of the app has great security, although the free version is just as good (even if you do eat up your allocated space a little quickly). Close behind in fourth spot is Trello (https://trello.com/), a visual project management tool. In a similar way to how Pinterest displays information, Trello allows the user to create a board and fill it with cards (the cards can contain anything from text to images to video). It has a slick drag and drop interface that allows you to move items between stages of a project, cards can be assigned color-coded priorities and team members can vote or comment on cards. The beauty of Trello’s boards is that it allows the team to “see” an overview of an entire project while seeing the individual components at the same time. Like any good app these days, Trello integrates with Drive, Dropbox, Box etc. and it syncs in real-time across all platforms, so you’ll always be up-to-date. 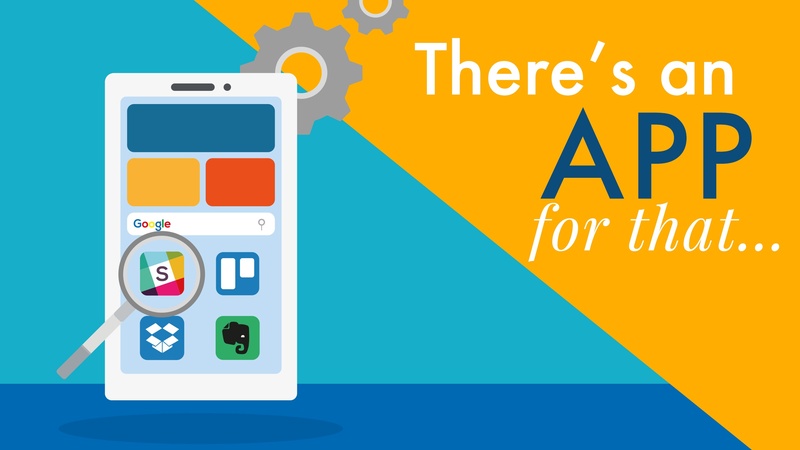 This is only the tip of the iceberg when it comes to productivity apps. There are hundreds of task management apps, Pomodoro timing apps, cloud storage services and much, much more! These four above will definitely be the kickstart your teams needs but it is always advisable to play around with different apps to see what works for your team. Which apps do you use which aren’t on the list? We’d love to hear about them!